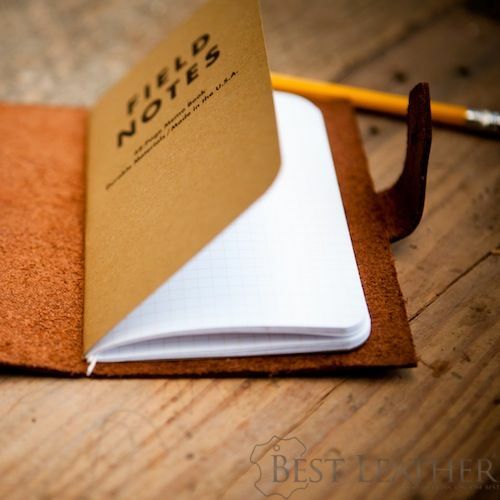 The Davis Leatherworks Field Notes Cover by Chris Davis is a well made, simple, and least expensive option for sheathing your favorite little notebook in some nice leather. At prices between $17 to $25 this cover is a bargain when compared with covers from Field Notes and others especially because it comes with a Field Notes notebook preinstalled! …One of the reasons I enjoy making the notebook covers is that I used to be a stationery blogger. 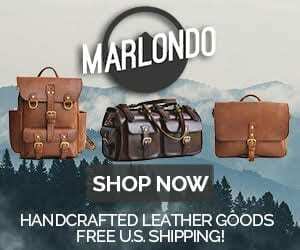 I tested and reviewed hundreds, if not thousands, of different products and although I retired from blogging during college, a lot of my experience has carried over to my leatherwork. 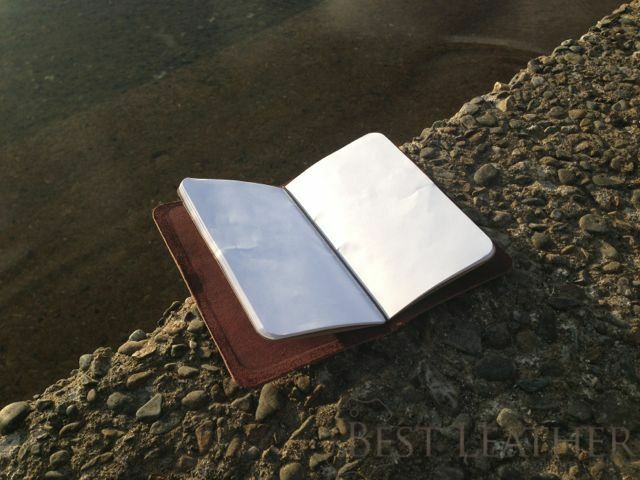 For instance, I always loved the Midori notebooks, but hated the price… Hence, I came up with a notebook cover that was similar and could be offered at a much lower price point while still offering the same features and a good notebook (Field Notes). I started leatherworking as a hobby when I met my wife. Her father’s hobby happened to be blacksmithing/knife-making and he made his own sheaths for his knives. I looked at the things he made and said, “I can do that”, and the rest, as they say, is history. Now, two years later, my hobby has expanded into a part-time business and I travel all over the state of West Virginia selling at fairs and festivals and have sold online to almost all 50 states and at least 10 countries. Definitely a lot further than I or my family thought I’d ever go with my “hobby”. 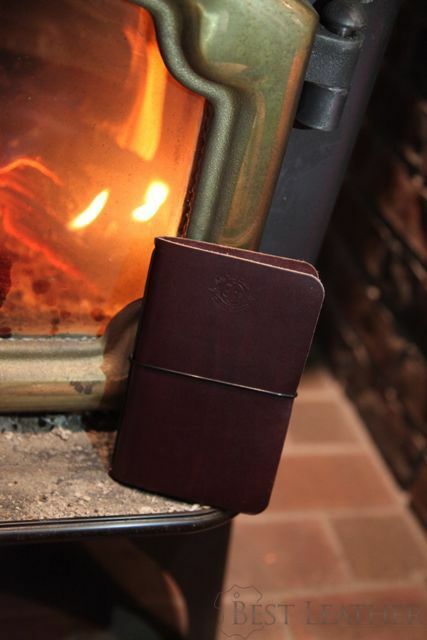 It doesn’t get much simpler than this one piece of 2mm latigo SB Foot leather spread over your little notebook. It’s nice thick leather and SB Foot does a fantastic job tanning leather. They are renowned for their incredible leather used in Redwing shoes and boots. The cover is either handcut or stamped from a die depending on the volume of orders. Each is made to order as they come in. You can have your cover made from many of the types of leather that Horween or SB Foot Leather offers. Davis Leather uses pre-dyed chromium tanned leather or vegetable tanned leather (which gets a treatment of neatsfoot oil) and will age to a rich caramel color. All of these photos are SB Foot leather. The weakest point of the band closure design is the rubber band. I can see it lasting a few months or more of daily use before breaking. However, Chris has promised to replace any bands that break if you ask for another. You have the choice between the design of a rubber band keeping the cover closed and one with stitched flaps to secure the notebook with the two covers with no closure. Currently there are ten color options and Chris typically makes each one to order. The other design, the type I bought, is secured with this long rubber band secured with holes in the top and bottom of the spine and tied off at the center of the spine. It works great. It’s doesn’t look terrible but neither does it look great. Durability will doubtlessly be an issue as well. It seems to me that a slight leather string tied to a cover and wrapped around a few times would be an excellent alteration and fix. There are a lot of other ways which would work better. For the money I recommend the stitched flap version since you don’t have to mess with the rubber band replacement at all. If I had to do it again I would go with the stitched flaps but I’m still happy with what I have. It works well enough and I’ll be careful with it. Even though the leather is creased it opens easily and stays open if you bend it open a bit. The latigo leather is a very nice reddish hue and the Davis Leather brand impression on the back is a classy touch. The design is elegantly simple. SB Foot leather is quality leather and it is not cheap. What I love about latigo SB Foot (the same delicious leather used in the Redwing Iron Ranger Boot) is the supple, almost moist, feel of the leather. There is nothing coarse or unsophisticated about this leather. In the below photo you can see the waxy look of the leather. It is a great decision for Davis Leather to use Horween and SB Leather in their products and I congratulate them for making the decision for quality over cheaper options while still keeping their product affordable. Here you can see how the SB Foot dyed red compares to Saddleback Leather chestnut and dark coffee brown. It has a rich deep sheen. It is very difficult to buy Horween or SB Foot leather products at low prices like this so it is not fair to make a big deal out of the rubber band, especially when replacements are free. This is great value for your money. It’s a simple design that you may even be able to make yourself. However, if you don’t want to make one yourself then definitely order one from Chris at Davis Leather. He’s a nice guy. OH! And he makes belts! Davis Leatherworks – Making a Belt… from Davis Leatherworks on Vimeo. Colson Keane makes a similar Field Notes cover that ranges between $55 and $65 depending on the color. The primary difference is that closure mechanism on the Colson Keane cover is a metal nub that the closure strap pushes on to. Other then that the design is simplistically similar. Hell Brand Leather sells a stitched flap version with some cool contrasted stitching (which Davis Leather can probably do as well) for $45. 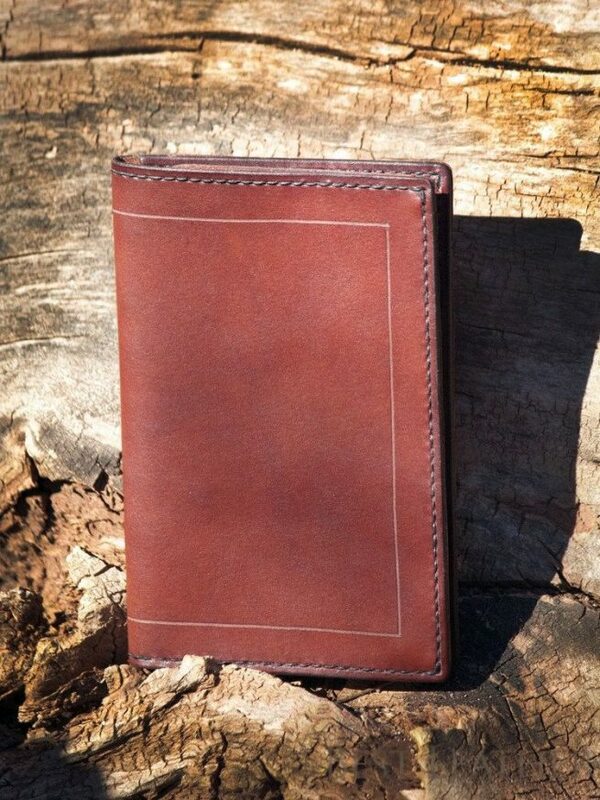 Inkleaf Leather makes this beauty from Hermann Oak Vegetable tanned leather and it sells for $70. Do you have any thoughts? What do you use to cover your field notes? 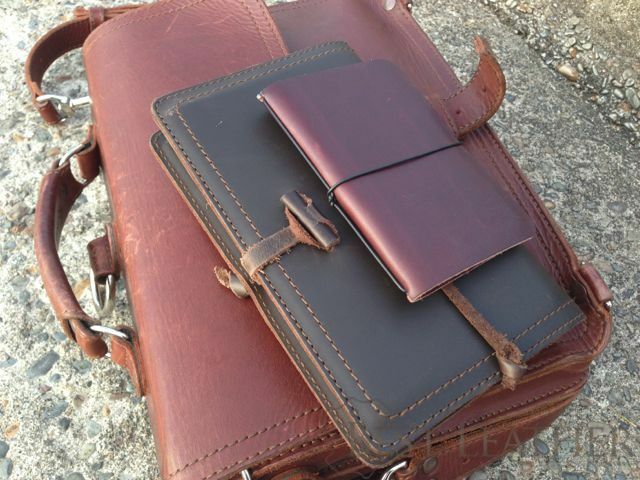 3 Comments on "Davis Leatherworks Field Notes Cover – $17 to $25"